Can anyone recommend a mat for me to buy for home use with a net? Fiberbuilt golf mats will save you from injury some other mats are known to cause. Ill save you the 10 seconds it would take to type your question into google. 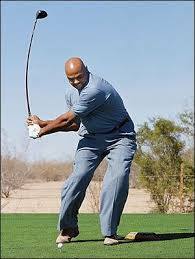 -CCE if you can handle shallowing your swing, or practice shorter swings, or realize that much mat practice is probably bad for you and your game, or don't chunk the mat like a duffer. Spend the money on a good mat. I got a 5’x5’ and couldn’t be happier with it. And for a good performing net, I got the Rucket Haack Net. It’s inexpensive, easy to set up & break down, good quality, and it works great! First I’ve heard of those mats linked above. Anyone have any comparisons between them and CCE or fiberbuilt? Definitely cheaper. Spend the money on a good mat. I got a 5'x5' and couldn't be happier with it. And for a good performing net, I got the Rucket Haack Net. It's inexpensive, easy to set up & break down, good quality, and it works great! You just missed out on a great deal for the Fiberbuilt practice station for $199 at Costco. I've tried just about every mat out there, and my favorite was the reconditioned/used golf mats being sold by rawhide on ebay. If I recall, I paid around $150 shipped after some 20% ebay coupon a few years ago. the Rucket Haack Net is also the net I purchased, but a few thousand swings in, and it started failing on me. Started developing impact holes. 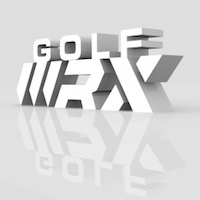 Just about put a hole through 4 rooms in the house (lol, #golfwrxlong). I now have the Net Return Pro. Much more expensive... much more bettah.